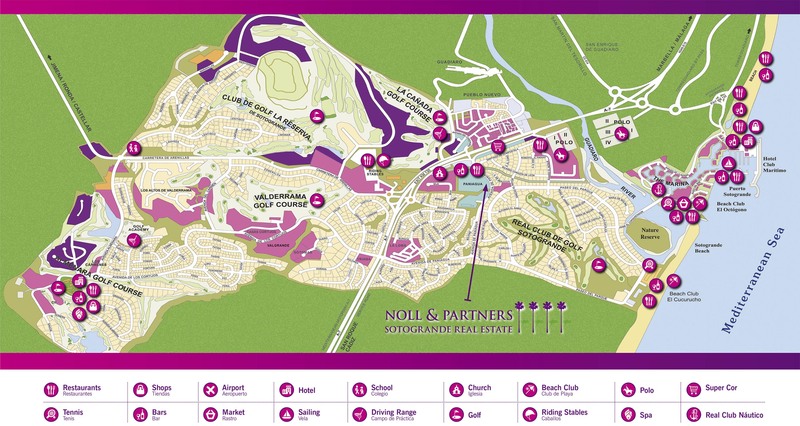 Where is Sotogrande located? 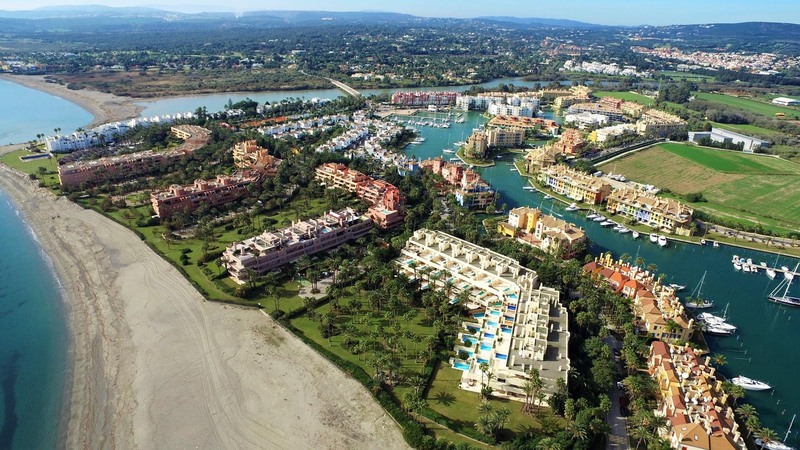 How is Sotogrande laid out? 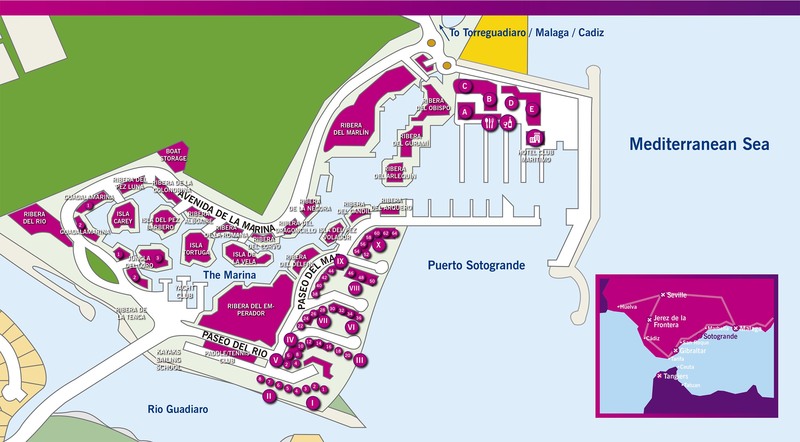 In this section, you will find useful Sotogrande maps for better understanding of its location on the Costa, its layout and areas within the resort. → Download the printable .PDF – Click here! Sotogrande is located at the western end of Malaga´s Costa del Sol, but actually within the municipality of San Roque in Cadiz Province. It is 60 km from Marbella, and only a 15-minute drive to Gibraltar. Malaga airport is one hours drive away, as is Jerez de la Fontera. Seville is two hours’ drive, and the Atlantic coast beaches of Tarifa also a short 40-minute drive.